When it comes to sporting success, timing can be everything. This is something we have discussed a lot at Basketball Betting because even though all points earned in a game can be crucial, it is often the points earned in the final quarter or the dying moments of a match that matter so much. Whether it is the timing of a shot, the timing of a block or even just the timing in a certain decision, there is a lot to be said for the success or failure of a decision or outcome being slightly out of your hands. This week is all about the 2014 NBA Draft and given that the fate of so many basketball players, teams and even fans are related to this event, it is clear to say that timing is an important element. Players that hit form at the right time are the players that grab the attention and may just be the players that find spring themselves into the spotlight and a glittering basketball career. There are also players that suffer unfortunate luck or bad timing in the run up to the NBA Draft and when it comes to picking up an injury before the NBA Draft, the timing can be crucial. Two players who have been hotly tipped for this draft are Joel Embiid and Jarnell Stokes. Many sporting experts were tipping the players to place highly in the draft with some even expecting the Cavaliers to make Joel Embiid the number one pick in the Draft. Whether that happens remains to be seen but the fact that Embiid has just undergone surgery and is said to be out of basketball for 4 to 6 months may be a factor in the final decision made by the Cavaliers and other teams. If this is the case, Embiid has to say that he is unlucky and that timing has gone badly against him. Initial medical reports suggest the operating has gone well and that there should be no lasting damage with this style of injury but whether a NBA team will want to use a Draft choice with a high level of uncertainty involved may count against Embiid this time. 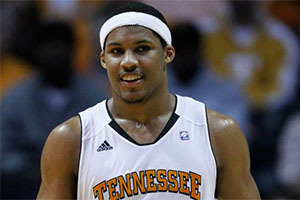 For Jarnell Stokes, things are a bit different but the timing has been rather unfortunate for him as well. Stokes was actually on his way to the airport to make his way to Miami for a pre-draft workout with the Heat when disaster struck in the shape of a hit and run car accident. Stokes wasn’t wearing his seatbelt in the back of the car but his quick thinking in raising his arm saw his head smash off his arm as opposed to against and in all likelihood through the glass of a car. Stokes was badly cut and bruised but again, there appears to be no lasting damage from the accident and injury. After a delay and some much needed recuperation, Stokes has managed to make some pre-draft workouts, including with the Heat, which was his first session on the 4th of June. Stokes has also managed to workout with Phoenix, Utah, Memphis, Toronto, Chicago and San Antonio. 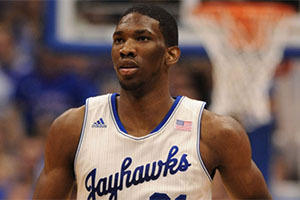 He may also be able to fit in sessions with the LA Clippers and the Oklahoma City Thunder before the draft takes place. It may have looked as though Stokes was going to face a lot of heartache but he may find that the timing of events and incidents may not have been too damaging to his NBA Draft dreams.